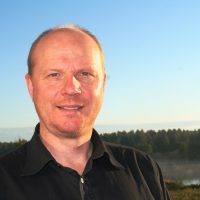 Jarkko Saarinen is a Professor of Human Geography at the University of Oulu, Finland. His research interests include regional and local development, sustainability in tourism, tourism and climate change adaptation, tourism-community relations and wilderness and nature conservation studies. Over the past 20 years he has been working extensively in the rural and peripheral areas of northern (Arctic) Finland and southern Africa. He is Editor for the Tourism Geographies and Associate Editor for the Journal of Ecotourism. His recent publications include co-edited books: Resilient Destinations (2019, Routledge), Borderless Worlds for Whom? (2019, Routledge), Tourism Planning and Development (2017, Routledge), Political Ecology and Tourism (2016, Routledge) and Cultural Tourism in Southern Africa (2016, Channel View).